Hurricane Irma, the first Category 5 Cape Verde hurricane to strike the Leeward Islands, caused devastation and damage in the Florida Keys and the northeastern Caribbean area as it intensified in late August 2017. This hurricane was the most intense to roar into the U.S. since Hurricane Katrina in 2005 and its effects are still widespread. The first inkling of a developing hurricane was monitored by the National Hurricane Center as experts tracked a tropical wave over western Africa. The tropical wave slowly moved off the coast in western Africa as thunderstorms and showers continued to pound the continent. After two days of powerful storms and showers, stemming from the tropical wave, the system passed through the Cape Verde Islands, prompting the threat of a tropical depression. Over the next day, the developments were dubbed as Tropical Storm Irma due to satellite estimates and scatterometer data. The islands experienced drier air and cooler waters as the storm strengthened. Tropical Storm Irma gained momentum and an anticyclone established over the system. Early in the day, Irma intensified rapidly and was declared a Category 2 hurricane. Over the next few hours, Irma was upgraded to a Category 3 and by midnight of Sept. 1 was declared a major hurricane. As Irma was established as a major hurricane in the wee hours of the morning, the intensity of winds increased to 65 mph. With rapid winds ranging from 45 mph to 65 mph, it was clear that the eye of the storm remained compact. A strong high pressure system developing north of Irma moved southwest from Sept. 2 to Sept. 4. The eye of the storm was 29 miles from Barbados with winds topping 115 mph. Irma was eventually deemed a Category 4 hurricane as it approached the Leeward Islands. Just hours later, with more rapid intensification, Irma was upgraded to a Category 5 hurricane at approximately midnight on Sept. 5, as winds escalated to 175 mph. Hurricane Irma continued to intensify with winds topping 180 mph to 185 mph. Irma reached peak strength and made landfall in Barbuda along the northern coast. The storm eventually bottomed out in the evening, marking the lowest mbar of 914 since Hurricane Dean in 2007. Irma continued by making landfall on Saint Martin and Virgin Gorda – in the Virgin Islands – at peak intensity. As Irma traveled out of the Virgin Islands and to the north of Puerto Rico, an elliptical eye and double eyewalls was recorded. Hurricanes Katia and Jose joined Irma as three active hurricanes wreaked havoc. 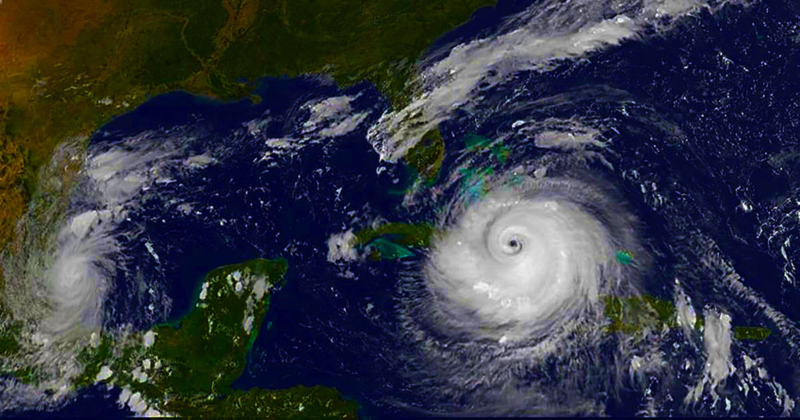 This was the first occurrence of three simultaneous hurricanes since 2010. Hurricane Irma weakened, gaining status as a Category 4 as she passed south of the Caicos Island and the Turks, ending the 60-hour continuous period of intensity and devastation. Irma is known as the second longest hurricane to maintain intensity and winds topping 156 mph since Cuba’s 1932 hurricane. Sept. 8, though, is not when Irma’s destruction ended. Irma made landfall in the Bahamas on the island of Little Inagua early in the morning and began tracking more to the west. The eyewall replacement was complete, leading Irma to regain intensity and lunge back into a Category 5 classification as she traveled east of Cuba. With winds of more than 165 mph, Hurricane Irma made landfall in Cayo Romano, Cuba early in the morning. The eye moved along the northern coast and gradually weakened with the land interaction, ultimately changing classification to a Category 2 later in the day. Irma’s slow down was short lived as the hurricane turned northwest toward Florida. As Irma moved over warm Florida waters, she gained strength – to a Category 4 – early morning as the eye became better defined. The wind field increased in size and winds wavered between 80 mph and 220 mph. At approximately 1 p.m. EST, the hurricane made landfall in Cudjoe Key, Florida. Irma eventually weakened to a Category 3 later in the day as the hurricane made landfall in Marco Island, Florida, with winds topping at 115 mph. Hurricane Irma moved inland and continued to accelerate to the north and northwest with increasing land interaction, dry air and wind shear, ultimately re-classified as a Category 3. Irma swept passed east of Tampa and weakened to a Category 1 by 6 a.m. Irma still maintained a large wind field, though, as she spread to the southern Georgia and was classified as a tropical storm. Hurricane Irma hit a low as she entered Alabama, but she did not dissipate until she traveled over Missouri the next day. Florida, especially, faced devastating deaths and damage. In fact, Hurricane Irma prompted the state’s governor, Rick Scott, to declare a state of emergency on Sept. 4. More than 100 members of the Florida National Guard and 7,000 troops were activated for duty by Sept. 8. In addition, preparation for Hurricane Irma included preparing hurricane kits, coordination with electrical companies to restore power and a suspension of tolls on all Florida roads and turnpikes. From Sept. 8 to Sept. 11, 67 counties closed colleges, universities and public schools, and the state’s Department of Education donated school buses for transportation of residents to shelters. In the midst of the hurricane, more than 150 Florida state parks closed. As a response to the state of emergency, the state opened nearly 700 shelters that housed nearly 200,000 people, including those with special needs. Hurricane Irma’s catastrophic damage led to the closing of airports resulting in the cancellation of 9,000 flights. Seaports and beaches spanning from Key West to St. Petersburg were closed. Theme parks, including Disney World, were closed, as well as Universal Orlando, Seaworld and the Kennedy Space Center. Additional residents in Florida counties were issued voluntary evacuation notices to safeguard their families. 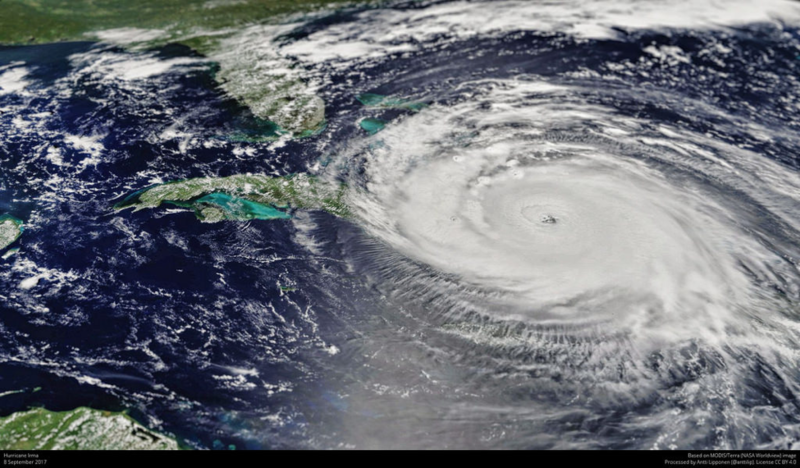 Hurricane Irma prompted the largest evacuation in the history of the state of Florida which resulted in immense traffic congestion right along the Florida peninsula that was in danger of landfall. Neighboring states and counties also faced uncertainty as the path of Hurricane Irma and its intensity continued to fluctuate. Also on Sept. 6, Georgia’s governor declared a state of emergency for six of the state’s coastal counties. This declaration was eventually expanded to include 30 counties, then 94 counties, and eventually the entire state by Sept. 10. Overall, more than 540,000 Georgia residents received mandatory evacuation notices. North Carolina followed suit when Governor Roy Cooper declared a state of emergency in conjunction with South Carolina’s governor. Virginia declared a state of emergency on Sept. 8. 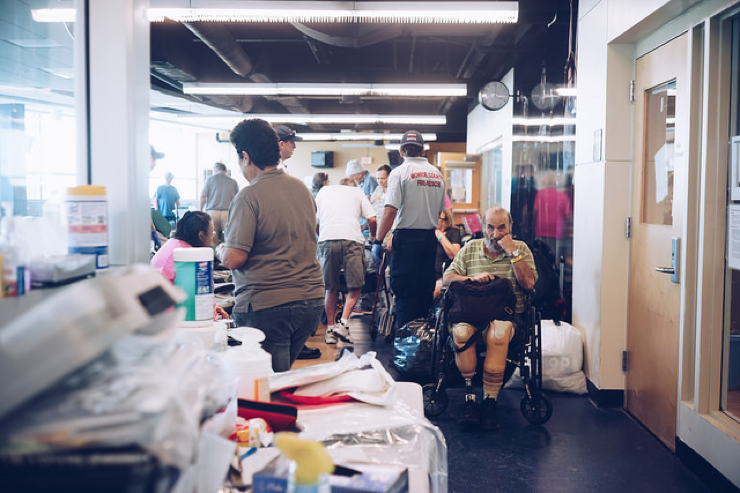 During and after Hurricane Irma made landfall in the U.S., several states modified laws to allow for medical professionals to practice in other states, with Tennessee leading the way. The path of Hurricane Irma – including landfalls in the United States, Cuba, the Bahamas, Barbuda, Antigua and Saint Martin – caused not only more than 130 deaths, but also devastation to structures, homes, buildings and businesses. In Antigua and Barbuda, Irma began wreaking havoc with structural damage on roofs and downed power lines, ultimately ceasing communication. By the end of the storm’s landfall, 95 percent of the island was deemed uninhabitable by the Prime Minister. 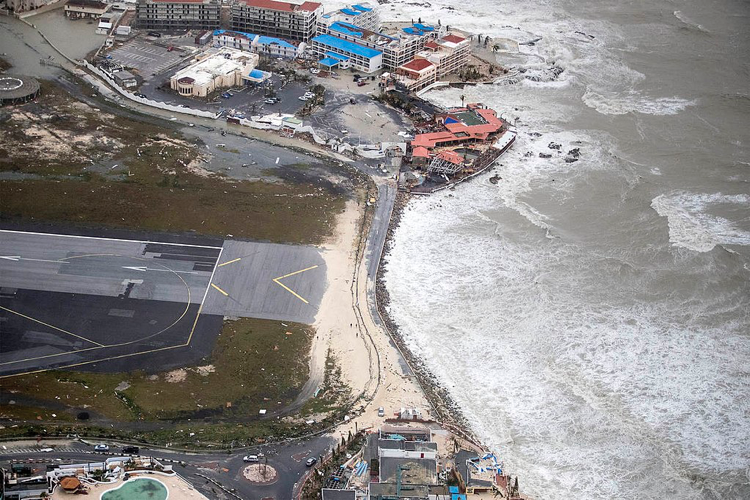 Residential blocks were either flattened or submerged as a result of the storm and the only airport on the island was inoperative. The total property damage was assessed from $150 to $300 million. One of the primary concerns after the landfall was the island’s wildlife, such as the Barbuda warbler and the largest colony of frigate birds. When Irma crossed into Saint Martin on Sept. 6, an island-wide blackout occurred as entire structures were swept away, trees were ripped out of the ground and vehicles and roads were submerged. 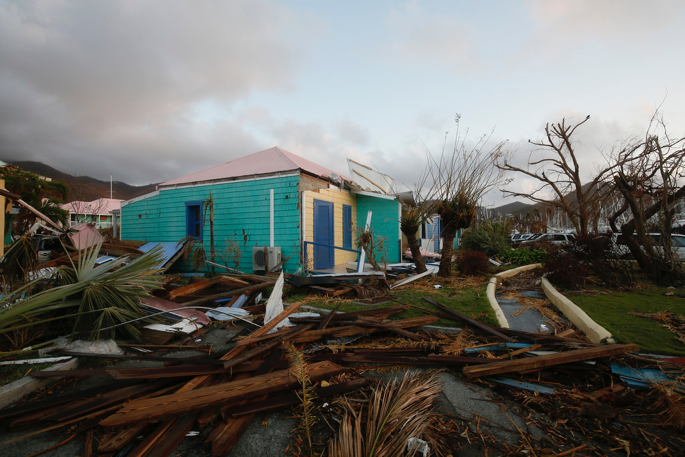 Homes and boats were left in ruins as 95 percent of property in Saint Martin was damaged in some way, causing 60 percent of Saint Martin to be declared uninhabitable. Estimations to restore the area exceed $1.2 billion. Flooding and destruction was all that was left of Saint Barthelemy after Hurricane Irma swept through the area. Entire coastal establishments were erased with buildings reportedly stripped of their foundation. The streets soon appeared to be rushing rivers while many of the homes were destroyed. Estimations of damage topped $1.44 billion in Saint Barthelemy, marking Irma as the costliest natural disaster to wreak havoc on the French Republic in more than 50 years. The eyewall of the storm passed over Anguilla, destroying homes, schools and the hospital. The East end took the brunt of the damage as rough seas mutilated the bays and harbors. By the end of the storm, 90 percent of the roads were viewable. To say that the damage in the British Virgin Islands was catastrophic is an understatement. The island of Tortola faced the hurricane’s core and majority of residential areas in the British Virgin Islands were destroyed. Those left to pick up the pieces were plagued without electricity for more than six months. More than 12 inches of rain fell as a result of Hurricane Irma in the U.S. Virgin Islands. St. Thomas island, for one, suffered extreme structural damage and local airports, hospitals and ferry services were inoperable. The island was left without electricity as well. Rainstorms ahead of Hurricane Irma attributed to two deaths in Puerto Rico while nearly 80 homes were destroyed and approximately 1 million people lost power. The islands of Vieques and Culebra were declared disaster areas by the governor. Even though Haiti and the Dominican Republic were not directly hit by Hurricane Irma, these areas faced damage from waves and flooding. The Dominican Republic alone reported more than 2,700 damaged homes while mudslides, flooded crops and infrastructure damage plagued Haiti. 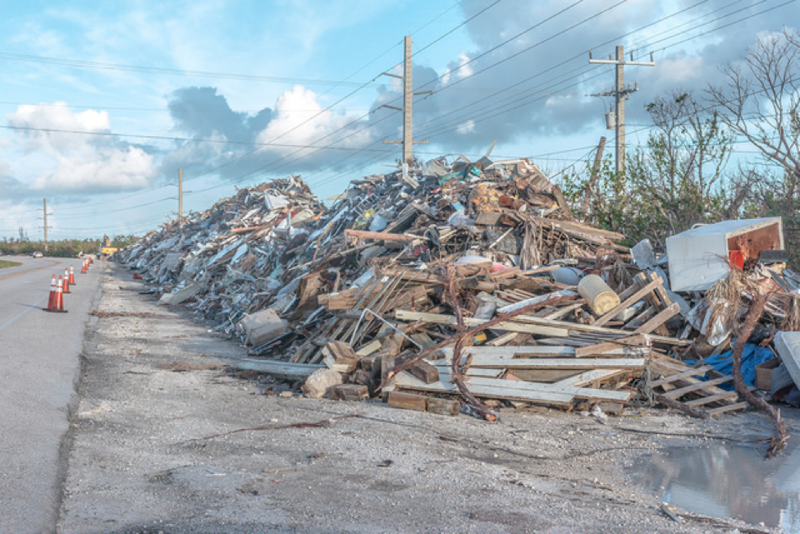 Powerful winds and a hit from the northern side of Hurricane Irma’s eye resulted in more than 75 percent of roofs destroyed in South Caicos, with damages exceeding $230 million. 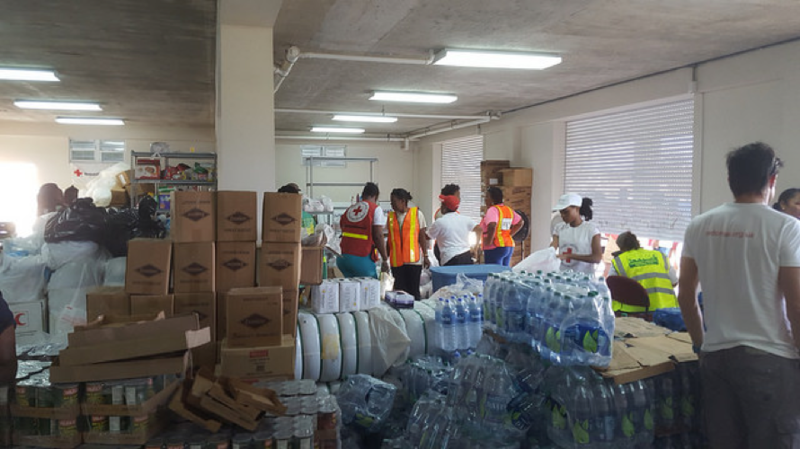 Both the Turks and the Caicos Islands faced the powerful storm for more than two hours, leading to damage to the communications infrastructure. 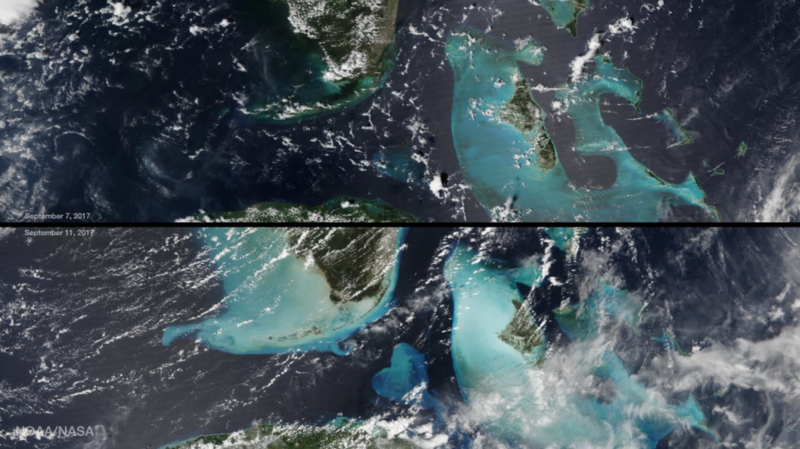 Damages in the Bahamas were focused primarily on the southern islands. 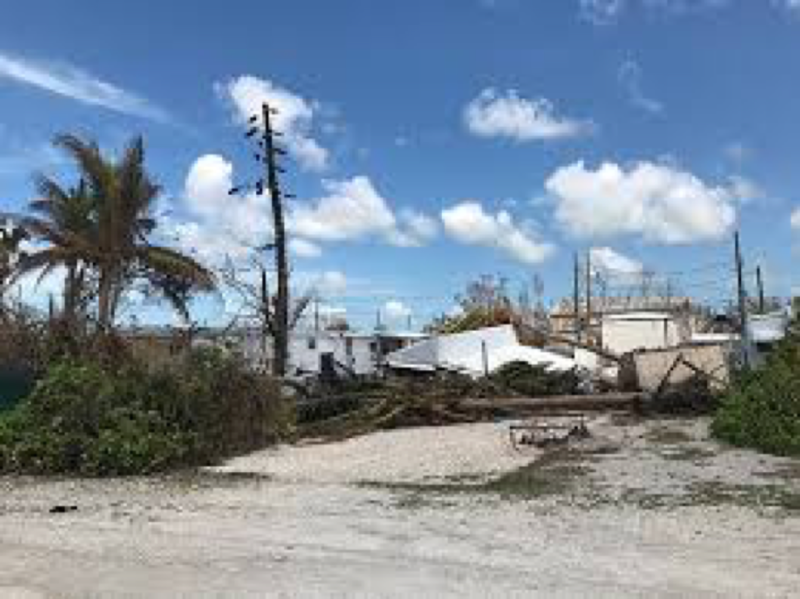 In Great Inagua, more than 70 percent of homes sustained damage while downed power lines made electricity non-existent. Two days later, the northern Bahamas were hit, prompting tornadic activity. The total estimated losses was $135 million. The northern coast of Cuba sustained significant damage from winds topping 165 mph as Irma made landfall. 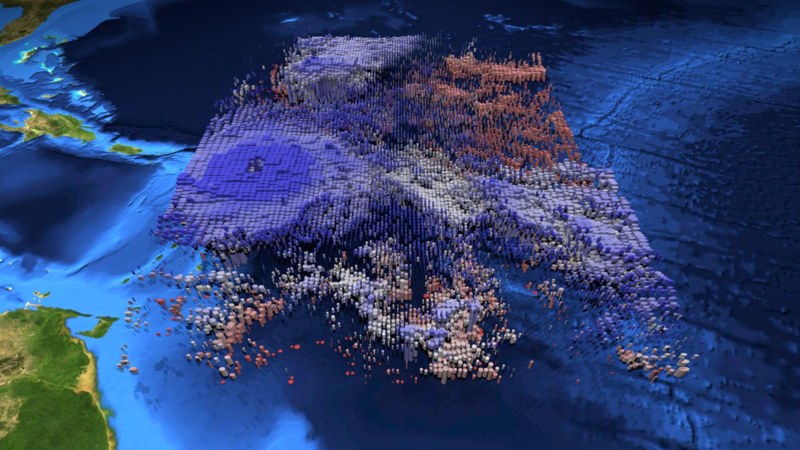 Approximately 10 deaths were reported and more than $500 million in damages with approximately 150,000 homes damaged. Tourist areas, such as Cayo Santa Maria and Cayo Guillermo faced the brunt of Irma with flooding caused by rolling waves. One noteworthy effect of Irma was the death of several hundred flamingos in Cayo Coco. Although the western pandhandle of Florida was spared for the most part, Hurricane Irma’s large wind field produced powerful winds throughout most of Florida. Heavy amounts of rain and winds left more than 7.5 million homes without electricity, making up 70 percent of the state. Topping out as the costliest hurricane in Florida, Irma’s damage was estimated at $50 billion. 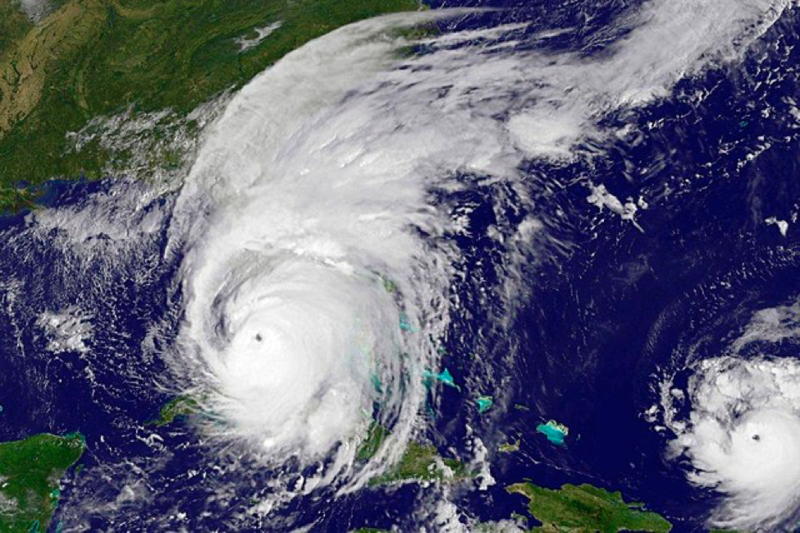 The highest death toll resulting from Hurricane Irma was recorded in Florida, with deaths attributed to the storm’s effects – including trauma, carbon monoxide poisoning and drowning. The Florida Keys were hit the hardest with surge flooding and strong winds knocking out water and fuel supplies, electricity and communication. Falling debris and trees led to the three deaths in Georgia. In addition, the state reported wind damage, power outages and extensive flooding, especially on Tybee Island and St. Simons Island. The storm surged up to 10 feet in Charleston, South Carolina, leaving 100,000 without power and five dead due to storm-related issues. Regardless of what stage of recovery you are in after facing the devastation of Hurricane Irma, Complete, Inc. can help. As a licensed appraisal/umpire claims firm in Gulf Breeze, we offer industry-leading expertise to help you navigate appraisals and find alternate dispute resolution services. Contact us today to learn more about how we can assist you with property appraisal and Hurricane Irma relief.